Things could get interesting in Pittsburgh as one of the NFL's best running backs is still not practicing. Bell hasn't reported yet as he tries to influence his contract situation. James Connor will be the next man up if he doesn't report soon and in the context of the current situation should be owned in all fantasy leagues. 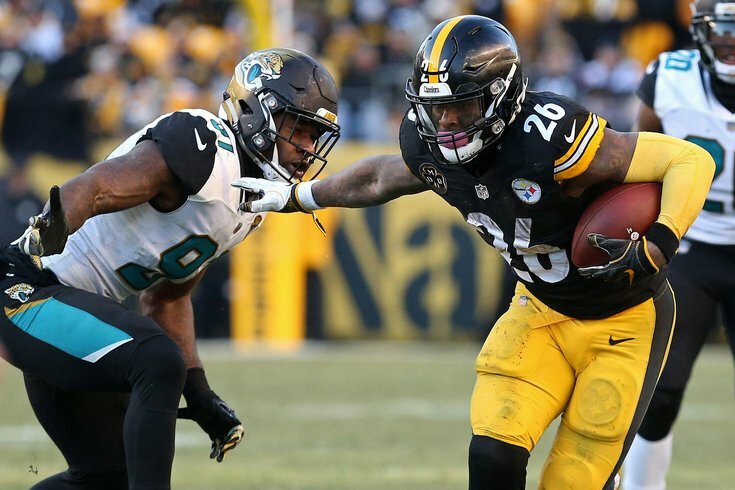 "When he gets here, that's when we will start quantifying all Le'Veon Bell-related things," Steelers head coach Mike Tomlin said, via a Jeremy Fowler report. "His overall readiness, the amount of time we have between his arrival and the next competition, (ect. ),"
According to an Ian Rapoport report, Bell's teammates expect him to show up Wednesday. If he does, will he have enough time to get ready to play? That's the question, and why Connor should be owned in all leagues until the issue has played out. Though eligible to play in Week 1 (he has yet to be suspended for some off the field issues), McCoy's status this weekend is not clear — as he continues to fight through a pesky groin injury. Though clearly a tweet about the preseason, you can see the mentality of the coaching staff. Chris Ivory may be worth a waiver wire look just in case. The Colts' likely starter at running back did not practice Monday and his status is still unknown — making the situation in Indy worth watching for for owners of any of Indy's running backs. Mack has a hamstring injury but could lose his job if a young back like Hyheim Hines or Jordan Wilkins breaks out. It looks like Miami's big wideout will miss one or two weeks with a broken finger. This means that Albert Wilson and Jakeem Grant will get more reps on the field in Week 1, and each could be an emergency pick up for a fantasy owner in a tight spot. The second-year tight end was spotted practicing in a red "no contact" jersey earlier this week, making his unreadiness due to a concussion a potential scenario. Concussions can be tricky, but Engram is expected to be able to play despite being limited in practice. For those looking for a sleeper at tight end, Kittle could still be your man. Despite a shoulder injury, he's been able to practice in San Francisco and appears as if he'll play in Week 1. Walker too doesn't expect a summer injury to sideline him in Week 1. An undisclosed injury seems to have slowed down but not stopped the veteran. He says he will be ready to go when the season starts.